OTB Boots consists of a group of footwear professionals who spend a lot of time in the outdoors and strive to make products for specific adventures rather than for fashion. The founder, Dan Ellis, was honored to be asked by the US Navy SEALs to design and engineer a series of boots to be used for operations in and around the water. 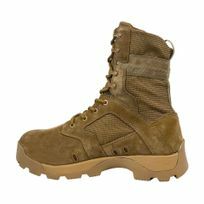 After many focus groups with SEAL Operators, the line of boots now known as OTB (Over the Beach) was born. Our shoes and boots are tested under the toughest conditions, in a laboratory environment as well as the critical field wear test. 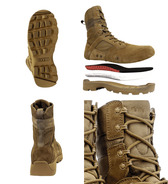 Know that your OTB shoe or boot has been approved by Special Forces Operators worldwide. • 8 inch, flesh-out leather uppers. • High-abrasion, extremely breathable textile panels surround the foot. A breathable boot helps with increased foot health. Our textile allows air to circulate into and through the boot helping to keep the foot cooler and drier. 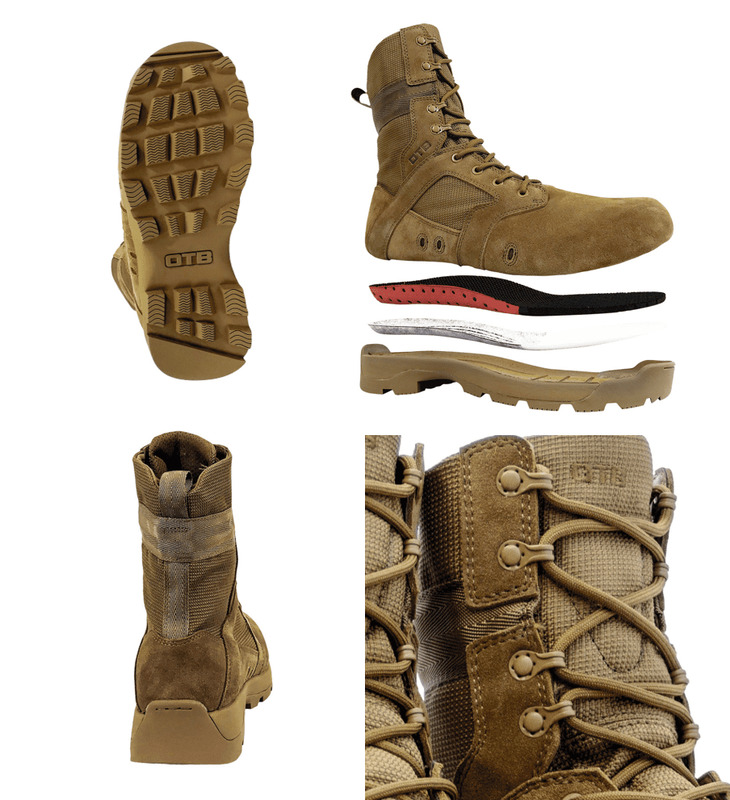 • Inside and outside lower mesh drainage ports allow water to drain easily when rucking. Water is purged with each step. • Open air mesh quarter linings help wick away sweat and other moisture from the foot. • Non-shine, rust-proof lace hardware will not break on the battle field. • Tried and true 550 paracord boot laces. • Full length, dual density, perforated and molded EVA footbeds provide “athletic shoe” comfort, while allowing for water drainage and airflow around the foot. This aids in preventing foot rot and improving overall foot health. • Full length composite shank supports and cups the foot under heavy loads while mating perfectly to the EVA footbed helping to increase ankle support. This support lessens ankle inversions. • Fast roping guard incorporated into the rubber outsole prevents the boot from becoming destroyed when fast roping. • High-abrasion rubber outsole with a modified Panama lug design. The lug pattern has been designed to shed mud and will not clog in wet, muddy conditions. Sizing: True to Size (regular shoe sizing). 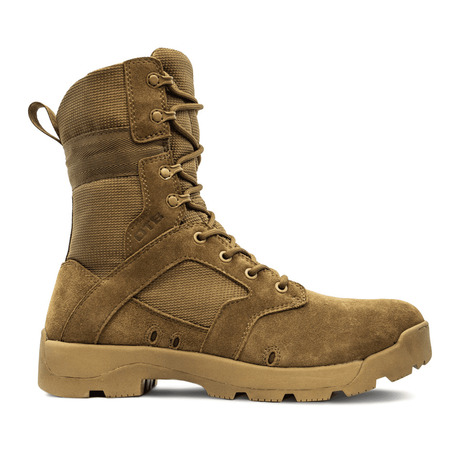 Regular size is full but not wide to take into consideration feet swell when rucking or if you’re in the boots for a 24 hour + period. Wide size is a true WIDE (3/4D).